An avid athlete, I grew up in Breckenridge and was a nationally ranked ski racer. I came to Steamboat on a ski racing scholarship and eventually coached for the Winter Sports Club. My real estate career has grown steadily since becoming an agent in 2005 and I have successfully represented buyers and sellers with sales from $7,000 timeshares to $3.5MM luxury homes. I am proud that my clients enjoy my patience and respectful nature. My wife, Holly, is a special education teacher at Soda Creek Elementary School. We have a daughter Blake and a son, Luca. I am committed to honesty, integrity, and results, and would welcome hearing from you! "Ryan was great to work with and helped us find our dream home! He listened to what we were looking for and helped guide us throughout the whole process. We couldn’t have done it without him!!" "Ryan was a no pressure, but hands on and helped us through the process of choosing and buying a vacation home. He made the process easy and gave great advice." "Ryan was very patient with our ever-changing direction. His understanding of every neighborhood helped us narrow our search, which was very helpful since we live across the country, and have only visited Steamboat for weekend ski and bike trips. Once we found the right place, he helped us from offer to close with great advice and knowledge of the whole process. I wouldn't hesitate to recommend Ryan to anyone looking for property in Steamboat." "Ryan helped us buy a condo in Steamboat after looking for a year. He is very knowledgeable about the market and is an excellent resource for all other things in Steamboat. We often call on him for referrals and for questions about the area, months after our closing. We would definitely use him again for our real estate needs." Bought a Single Family home in 2016 in Steamboat Springs, CO.
Ryan was extremely flexible and available to my family as we searched for our new home. We had an atypical situation in that finding our new home included three generations. This meant many different needs, opinions, budgets, and expected outcomes. Ryan was attentive to all of our needs. He is very knowledgeable of the local area, its history, policies and regulations. I was impressed by Ryan's willingness to seek answers to questions that came about throughout the process. He did an amazing job representing all of us throughout the entire process. Bought a Single Family home in 2017 in Steamboat Springs, CO.
Sold a home in 2017 in Steamboat, CO 80487. I've used Ryan as a listing agent twice in the past year. He was very knowledgeable of the Steamboat market. He's very professional and great to work with. Bought a Condo home in 2016 in Steamboat Springs, CO. I have nothing but amazing things to say about working with Ryan. A family friend referred me to him as I started searching for a condo to buy in Steamboat. I met with Ryan on multiple occasions to do walk–throughs on various condos. We'd discussed my budget range and the things that mattered to me most in buying a condo and Ryan did an amazing job of finding a good variety of condos that met the criteria I was after. He was also a great communicator; always quick to return phones call or email and made me feel like I was his only client (even though I know he's a busy guy). He helped me every step of the way, all the way to closing and then followed up a few times after closing and when I moved in to ensure everything was going smoothly. In the end I found the perfect condo and couldn't be happier with everything! I'd recommend Ryan to anyone! Ryan handled our real estate purchase in steamboat and did an outstanding job. We are 6 hours from steamboat and Ryan handled everything, even staying on top of our local bank to make sure loan deadlines were met. We are not newcomers to the buying and selling of real estate and Ryan is one of the best we've worked with, period. If you need a real estate agent, I'm not sure you could do any better. Sold a Townhouse in 2016 in Steamboat Springs, CO.
Sold a lot in 2016 in Clark, CO.
Ryan is true professional. He was our listing agent for a very unique and difficult property. He was always positive and very helpful in handling the questions/concerns of prospective buyers. He always kept me informed and was always prompt to answer all questions and provide helpful suggestions. I give Ryan my highest recommendation and would not hesitate to use him again. Bought and sold a Single Family home in 2016 in Steamboat Springs, CO.
Ryan was a pleasure to work with. He has great communication skills, was very responsive and we felt he did a great job reading the market and pricing our home. When we were looking to purchase a home, he was extremely patient and thorough. Both processes went very smoothly and Ryan went to great lengths to make sure all i's were dotted and t's crossed for both closings. Bought a Townhouse home in 2016 in Steamboat Springs, CO.
Ryan provided me with a great home buying experience. This was the first time I have purchased a home by myself and Ryan helped me feel confident with my buying decision. He was patient, flexible, and super quick to respond to my questions, even though as relatively uninformed buyer I had a lot to ask. Ryan gave great advice as far as my offer went- he was very knowledgeable about what would make my offer stand out in a challenging market. He accommodated my schedule, was in constant contact with my mortgage broker, helped me go through the inspection checklist thoroughly and put me in contact with the right people to transfer my utilities, sewer and internet services smoothly. Ryan helped make a very stressful time in my life as anxiety free and smooth as possible. 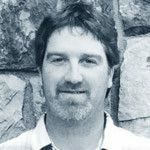 Bought a Single Family home in 2015 in Steamboat Springs, CO.
Ryan was extremely helpful in our home buying process. He is patient, honest, and considerate. He took all of our requests in to consideration and showed us many properties that fit our needs until we found the perfect one. He was always available to answer questions. We are very grateful to have found him. Definitely recommend him!! Bought and sold a Condo home in 2015 in Steamboat Springs, CO. I was fortunate to work with Ryan on both the sale of my Townhome, and the purchase of my house. Ryan is very knowledgeable with the market around Steamboat Springs, and was there to help keep me on track with the process details and deadlines. Always there to answer a question when needed. I would certainly recommend his expertise to anyone. Sold a Single Family home in 2015 in Oak Creek, CO.
Five years ago, Ryan was our buyer's agent when we purchased our home. When the time came to relocate, it was a "no-brainer" that we would list our home with Ryan. This is our fourth time selling a home and Ryan is hands-down the best realtor we have worked with. He did a thorough market analysis and priced our home exactly right. He came multiple times, at different times of day, to take the most flattering pictures of our home and market it expertly. The result was an offer just eight days after listing it. Ryan even helped us to find a realtor in our new town. Having such an honest, dedicated and knowledgeable realtor takes a lot of the stress out of relocating. We highly recommend Ryan Barclay whether you are buying or selling. Bought a Townhouse home in 2014 in Steamboat Springs, CO.
Ryan is extremely knowledgeable when it comes to real estate. He is very professional and great to work with. When we had questions about properties, Ryan got back to us right away. He was always available to talk and walked us through purchasing our new home. When we found a house to purchase, Ryan kept us updated every step of the way up until closing. Ryan did everything he could from researching properties to changing our locks for us after closing, to help out home buying experience be a great one! Sold a Single Family home in 2014 in Steamboat Springs, CO.
We met Ryan at an open house in 2006. He followed through and got answers to all our questions, unlike other realtors we had encountered. Since then we have bought two homes and sold one home in Steamboat with Ryan. He has been great and worked with us over a two-year period to help us find our new home. He is always prompt with any requests for information. Pleasure to work with, and we would highly recommend him to anyone considering buying or selling real estate in Steamboat. Ryan had our home listed, under contract and closed within a reasonable amount of time, he is personable and a pleasure to work with! His professionalism and communication from the beginning was great. We were grateful for his honesty and integrity, as we were out of town a lot of the time during the listing period. It was a secure feeling to know that he also reviewed and paid attention to the details in offers and ultimately the contract on our behalf. We appreciate your real estate expertise and thank you for everything! Bought a Single Family home in 2013 in Steamboat Springs, CO.
Ryan was very good at locating properties in the area and price range we were looking for and gave us tips on homes coming onto the market. The CMA info was also very helpful; Ryan was also very accommodating on meeting with us for showings on short notice! Showed home in 2005 in Steamboat, CO 80487. Ryan is a first class broker with extensive knowledge of the Steamboat real-estate market. If your looking to be a first time home owner, looking for an investment property or relocating from a distance, Ryan will be able to help you with all your real-estate needs. Bought and sold a Condo home in 2012 in Steamboat Springs, CO. He is very friendly and patient (it took us more than two years to find our dream house). Ryan is knowledgeable about the market and the area of Steamboat Springs. Extremely reliable. It was a pleasure to work with him. We felt very comfortable and never under pressure to buy. 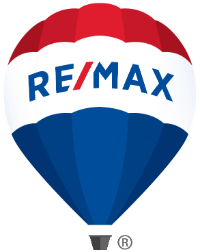 “Ryan is extremely knowledgeable when it comes to real estate. He is very professional and great to work with. When we had questions about properties, Ryan got back to us right away. He was always available to talk and walked us through purchasing our new home. When we found a house to purchase, Ryan kept us updated every step of the way up until closing. Ryan did everything he could from researching properties to changing our locks for us after closing, to help our home buying experience be a great one!